Kidskin boasts a silky shine and soft texture. Experience the world of fine women’s trainers – with our »Italian Line«. Handcrafted in Tuscany, our trainer collection exemplifies fashionable sophistication and the highest degree of wearing comfort. Sporty design in delicate pastel tones meets premium leather, including the finest box calf, soft velours and nubuck, as well as supple velvet. The repertoire of our trainers ranges from classic low-tops to dynamic high-tops and airy slip-ons that are undoubtedly perfect for modern dress codes. The erstwhile sport shoe has evolved quite a bit, and now pedestrian zones are simply unimaginable without it. Women’s trainers are ideal everyday shoes, perfect for any occasion from leisure to business. The deciding factor for this is these shoes’ high degree of wearing comfort, but from a style perspective trainers have proven to be extremely multifaceted. The ancestors of today’s trainers harken back to the middle of the nineteenth century. In the USA and Great Britain, trainers were first used for sport as a lightweight alternative to classic leather shoes. For the first time, the flexible rubber sole was glued to the shaft – made possible by Charles Goodyear’s vulcanization process – and this paved the way for a new lightness that predestined it for women’s and men’s trainers. From the tennis courts of the upper class the trainer soon made its way to the running track and the basketball court, creating new hurdles for itself in the fullest sense of the word. Through the years, these comfortable sports shoes underwent some modifications in terms of structure and materials. Despite all these innovations, the heart and soul of the trainer remained the lightweight rubber sole, from which the name of the shoe is derived. Called “Schleicher” in German, the description comes from the shoe’s light step. In comparison, the usual leather soles on other shoe models were far noisier. Today, trainers aren’t just found on the sports field or the feet of rebellious teenagers – nowadays, both men’s and women’s trainers have conquered even the runways of the major design houses and are considered obvious office-friendly attire in the creative sector. Above all, when it comes to design, women’s trainers know virtually no limits. There are plateau trainers, trainers with wedge heels, and trainers in every conceivable shape and colour. The women’s trainers of our »Italian Line« are based primarily on the classic designs of their famous ancestors. 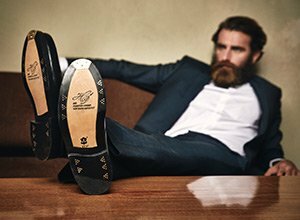 The handcrafted style and the use of premium leather elevates the models of this line to sporty, elegant, and versatile all-round talents. The colours of our trainers for women range from simple white to delicate pastel tones to a deep, saturated aquamarine. Furthermore, we offer a diverse selection of different lasts, ranging from the classic low-top trainer with open lacing to the sporty high-top trainer with its high shaft cut to the practical slip-on trainer that manages entirely without closures. Without a doubt, in our collection of fine women’s trainers you’ll find the right model to fit every taste.